Inspecti have local property inventory clerks providing professional property inventories, check-in & check-out reports for Landlords, Letting Agents & Tenants throughout the UK. We are a well established Property Inventory Company with experienced inventory clerks providing impartial, independent professional inventory report compilation services at very competitive rates. As a successful Inventory Company we have been providing property inventory clerks services to lettings agents, landlords, tenants, housing associations etc within throughout the UK. Our range of quality inventory and property inspection services include; | Inventory reports | Periodic/Mid term property inspections | Tenant Check In | Tenant Check Out | Energy Performance Certificates | Snagging Lists (for new build or refurbished properties) As independent inventory clerks, our Inventory reports can be used as evidence to protect Landlords and Tenants when disputes arise. Visit our website NOW for more information or alternatively contact our inventory clerks today for an Instant Quote for your next Inventory report. Signature Capital Liverpool is part of the Signature Living Group of companies who are a privately owned business with a dedicated and experienced management team with a proven track record in the delivery of value for it’s stakeholders. Our team of industry experts have over 250 years of technical & investments experience. Our friendly team is here to help you find your ideal Liverpool student home. We have a great selection of properties from 2 to 9 bedrooms. Flats and houses are available in the Sefton Park, Greenbank and Smithdown Road areas. All of our properties have spacious rooms and are kitted out with appliances and modern fixtures & furnishings. Get in touch today to discuss your requirements. 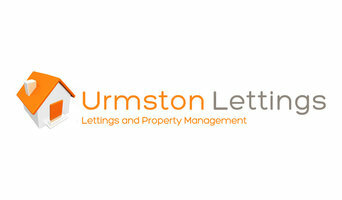 The cost of selling your house can be large, with estate agency fees making up a significant part of the overall bill. In the past 15 years there has been a revolution in the way we buy and sell our homes. With an average saving of £5,000 - it's easy to see why home sellers are choosing online estate agents over the traditional high street agent. ourhomesale is bringing a revolutionary product to the online market! What if you could make even more savings? What if the cost of selling your home was a low, affordable monthly rate? What if you were offered all of the benefits of the current estate agent - both online and traditional – but at a fraction of the cost! White Heather Estates are independently owned and operated and have been successfully selling and letting residential property for our clients in the Ellesmere Port and Wirral areas for 17 years. We provide a first class comprehensive service to our clients at very competitive rates. Our team of dedicated staff have extensive knowledge of the local market place, many years experience and a uniquely friendly, personal approach to the sale or purchase of your home.We never lose sight of the fact that your property is your most important asset. For students we offer a safe, modern turnkey home for students at a very affordable price. For investors we offer a quick efficient service to source, refurb and manage a student property. Hiring a professional Liverpool, Merseyside estate or letting agent really is essential in the modern housing market, so it’s important you find the right one for your move. Good Liverpool, Merseyside estate agents will be trained to handle all the regulations, laws and standards relating to buying, selling and letting properties in your area and the UK, and even better letting agents and property agents will be able to advise you on location, price and ways of improving property value if you’re selling. 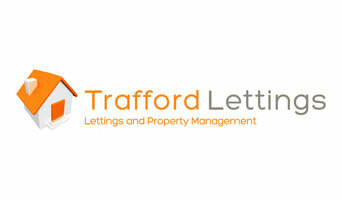 How do I choose a Liverpool, Merseyside letting agents or estate agents? For many people, the estate agent or letting agent they end up using depends on the best properties they can find on property agents’ search engines online. But if you’re searching for a particular style of property in a particular area, then it’s a great idea to try to find a local Liverpool, Merseyside estate agents that specialises in that style and area, and then they’ll be able to handle the search for you. If you are selling your house, it may be harder to work out which agent you should use. That’s why we’ve made it easier to compare each company on Houzz. We list Liverpool, Merseyside estate agents that work exclusively with architect- and interior-designed properties, so if you’ve been hard at work redesigning your home to improve its value, you can find the property agents that will do it justice. There will even be Liverpool, Merseyside property agents and companies that offer home staging and professional interiors photography, or work in partnership with other professionals that offer this, to show off your home to potential buyers. There are also some Liverpool, Merseyside letting agents that will help you to get the best price for your property if you plan to rent it out, by helping you create an appealing home that can be adapted, but not majorly altered, to your tenants needs. Of if you just need a traditional estate, letting or property management agency in Liverpool that will sell your house for the best price, you’ll find plenty here too. Find Liverpool, Merseyside estate agents, property agents or letting agents on Houzz. Narrow your search in the Professionals section of the website to Liverpool, Merseyside estate agent or letting agent. If you’re in the market to rent, buy or sell a home, you may be interested in hiring other professionals as well. Here are some related professionals and vendors to complement the work of estate agents: Home Stagers, Photographers.